Deco and I took a trip to Begur in May. 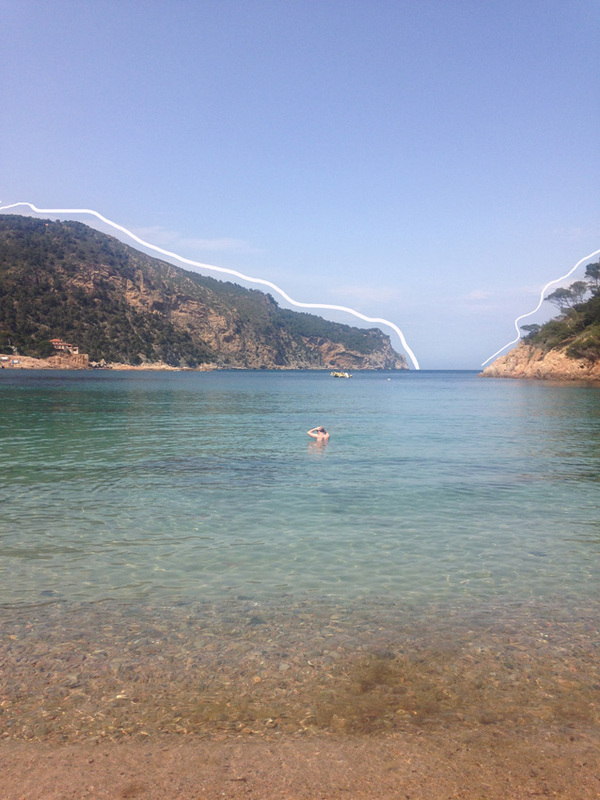 Hitting up the Costa Brava was on my to-do list before leaving BCN and Begur ticked off that to-do so right! Begur isn’t necessarily a seaside town (the medieval centre is situated on a hill 10 mins from the coast) so a car was necessary to do some beach hopping. We rented ours from Centauro who are my new favourite car rental company. Being under 25 and not owning a credit card can lead to some bulky charges being held on your debit card but with Centauro they accept debit cards with no extra fee and the driver is only €25 per person. Glorious! Now you can use that free money in your account to order G&Ts and eat tapas to your heart's content. The trip from Barcelona El Prat to our hotel in the centre of Begur was just under two hours. 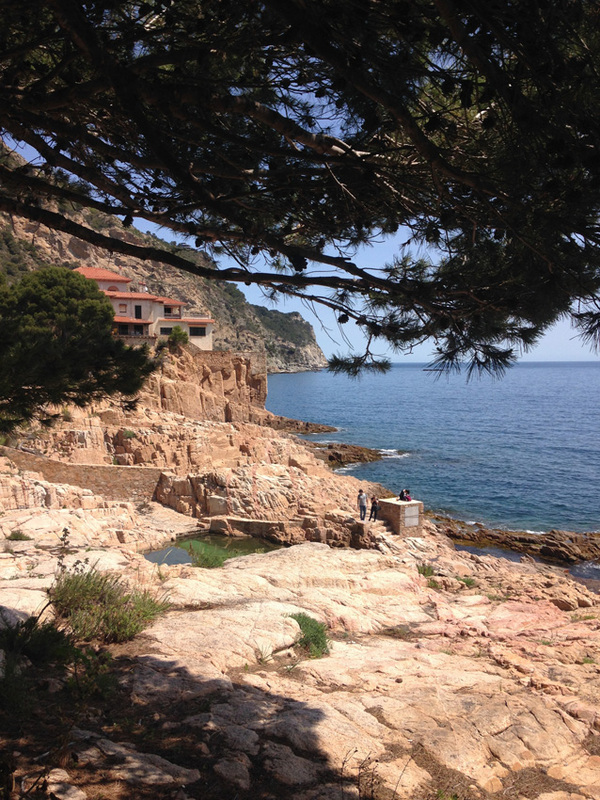 There’s no direct train line to Begur – the nearest train station is 30 minutes away in Flaça. Buses are an option from Barcelona, as far as I can remember they run twice daily. The company’s name is Sarfa and you can check out their website here. We stayed in a hotel called Hotel Aiguaclara which is just the cutest place. Run by a Catalan couple who will kit you out with all of the maps you’ll ever need, Hotel Aiguaclara is in the centre of Begur. The rooms are beautifully decorated with enviable gallery walls and a rain shower that everyone needs in their life. Breakfast is buffet style and all homemade. There’s even a recipe to make pa amb tomaquet (a Catalan requirement with most meals) right there and then. La Pizzeta - Pizza and pasta galore! Bar Cal-los - An enviable postcard collection and yummy G&Ts. Pati Blau - They give you blankets if your table is outside and you're feeling chilly. How nice! I also highly recommend the salmon. El Tapas de Begur - Great tapas and beer! Doesn’t beach hopping sound like the best thing ever? Well it is. Grab a map from your hotel or from the tourist office located in the centre of the town, hop in the car and get going. My favourite beaches are Aiguablava followed by Platja Fonda. 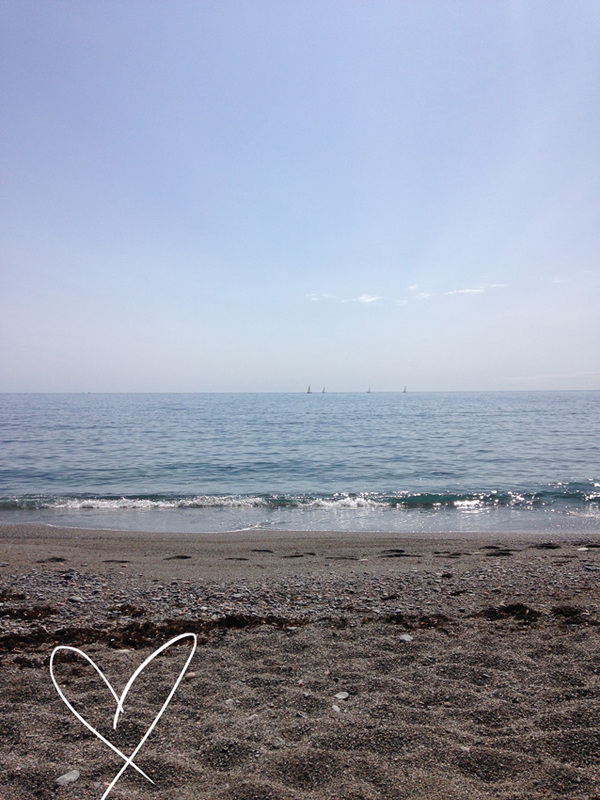 One thing – do not solely trust your GPS when it comes to finding these beaches. Use road signs in addition to help you find your way. 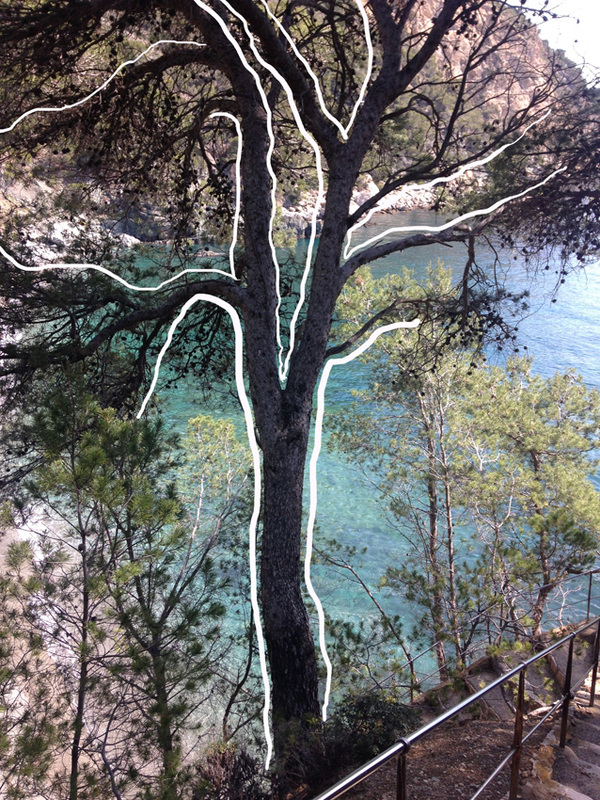 The Costa Brava is famous for its coves so a lot of these are located in hard to get to places. 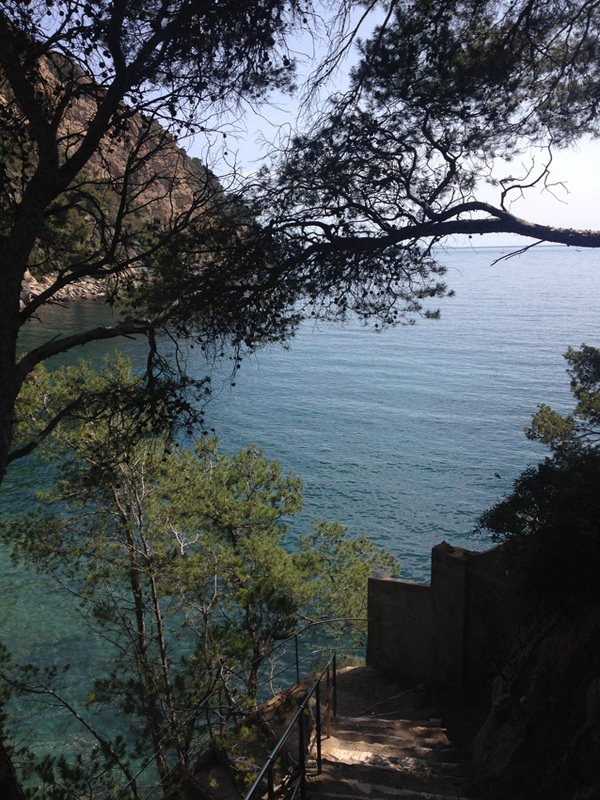 To get to Platja Fonda in particular you have to walk down 100 steps to get to the sand! But once you do it’s so gorgeous. The first picture is of our first day in Aigauablava. 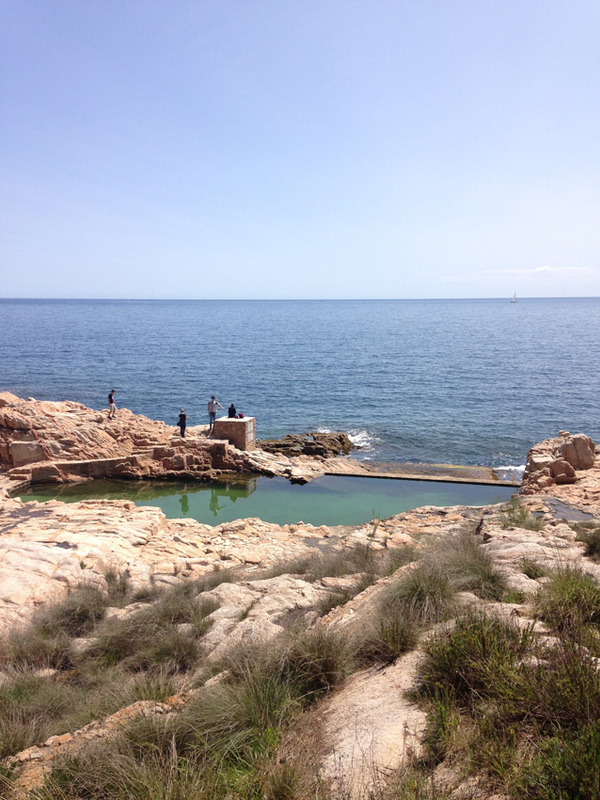 The rest are of our second day when we went to Platja Fonda and walked on the coastal path towards Aiguablava again. There are lots of coastal paths that you can follow – have a look at the maps at the tourist office and they’ll lead you there. A nice walk around any town you’re in is essential. In Begur, don’t miss out on the castle, which gives you the most beautiful views of the Costa Brava. 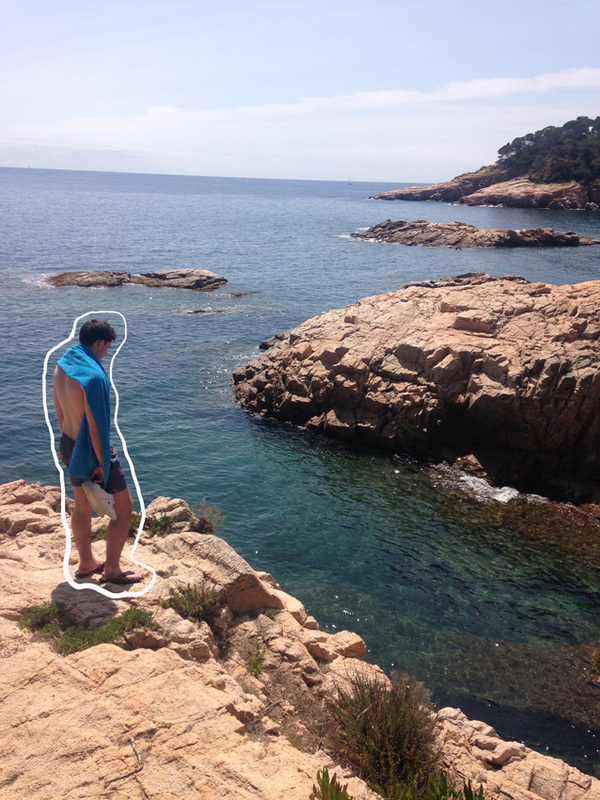 I took a camping trip on my last weekend in BCN so expect a post on that soon. Oh to be back in the Med! P.S. My sister got a Wacom Intuos Pro which I've been playing around with on Photoshop - hence the squiggly lines and doodles on the majority of these photos.